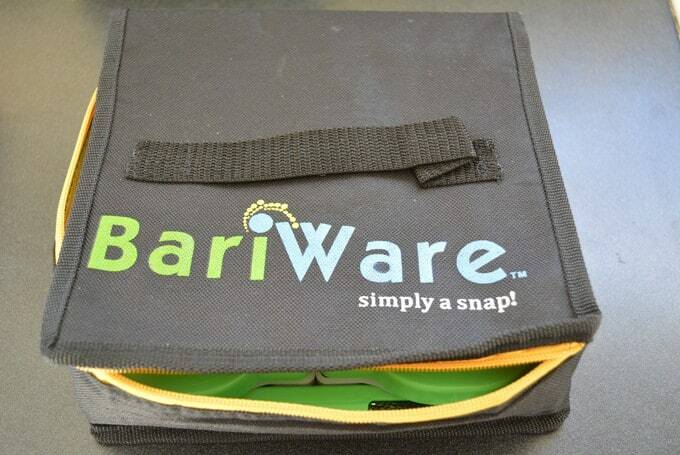 Bariware introduced this great container for portioning meals for bariatric surgery patients a few years ago. I purchased the portion container and case at a convention back in 2012. I use it myself occasionally, but generally use it as a teaching tool. They have since changed the name of this portion container to Portion 8. 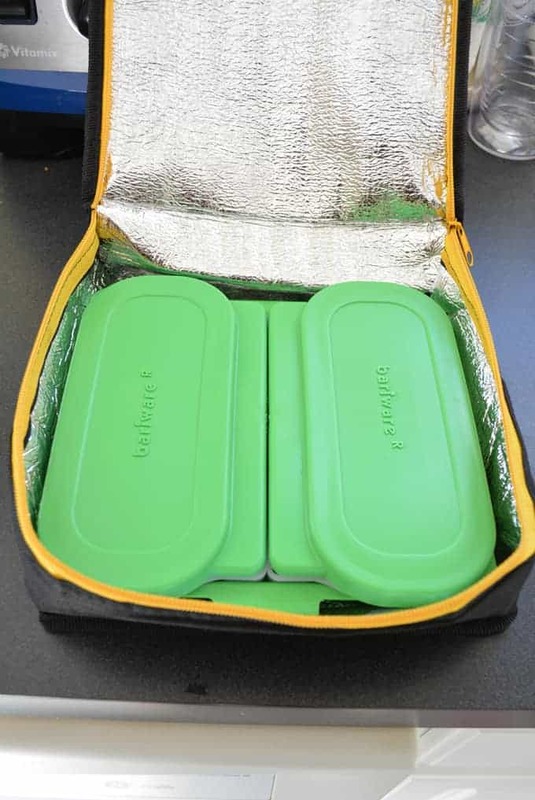 The cooler bag is a perfect fit for the portion case. It also comes with a cooling pack to keep the container cool, which is not pictured. 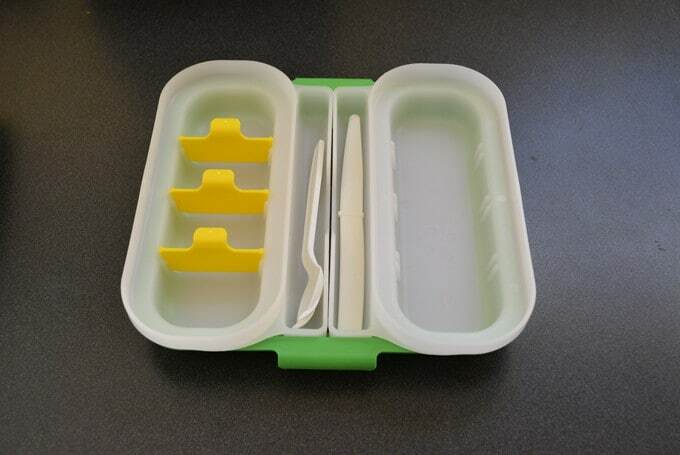 Inside the container there are removable dividers that create 1 ounce sections. Each side is 4 ounces. You can move the yellow dividers to make 1, 2, 3 or 4 ounce portion sizes. 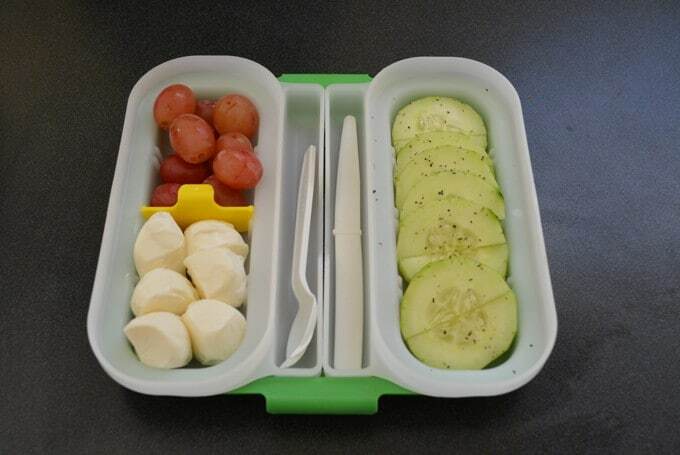 I made my lunch today using the Bariware Portion 8 container to demonstrate how you can utilize the container. 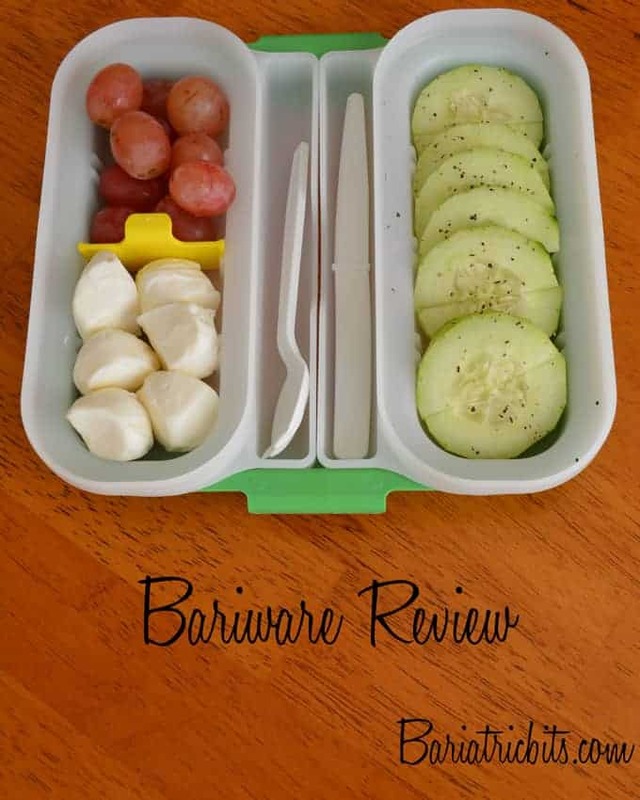 I packed cucumbers in one 4 ounce side and then divided the other side into two 2 ounce sections to include 2 ounces of mozzarella and 2 ounces of grapes. 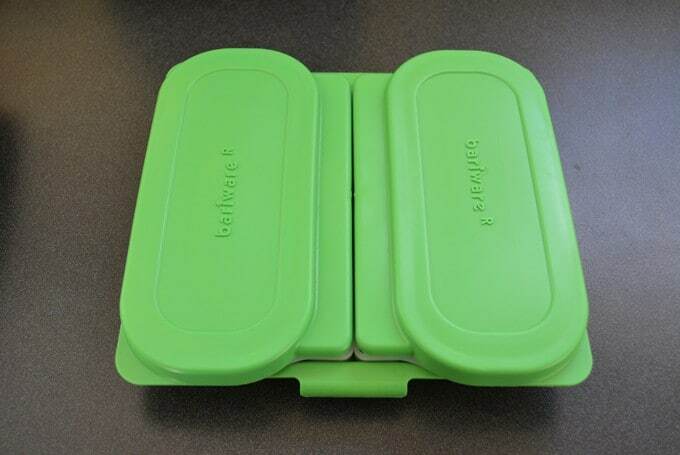 This is a great tool to help you control portions and help you prepare meals ahead of time for transporting meals outside of your home. How do I purchase the bariware products? Hi, I was wondering if you could give me the dimensions of the Bariware Portion8 container?